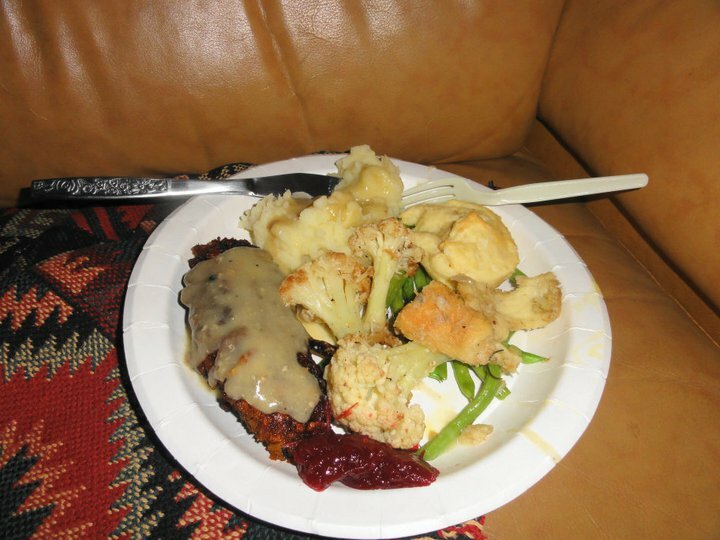 Our No-Oven Thanksgiving Meal, from turkey, clockwise: pan “unroasted” turkey breast, gravy, mashed potatoes, faux-roasted stovetop cauliflower, string beans, offsite prepared biscuits, fresh homemade cranberry sauce. Photo courtesy of Scott Humm. This has probably been the best week I’ve spent here in Taiwan! And it was a big surprise to me, because I was concerned that I would be plagued by homesickness as my nostalgia for American holidays hit over Thanksgiving and Christmas. But I’m starting to learn that loving American traditions and loving my life abroad are not mutually exclusive. A little affectionate feeling for the homeland goes a long way, and this week it took the form of one particular Thanksgiving flavor: the fresh cranberry. 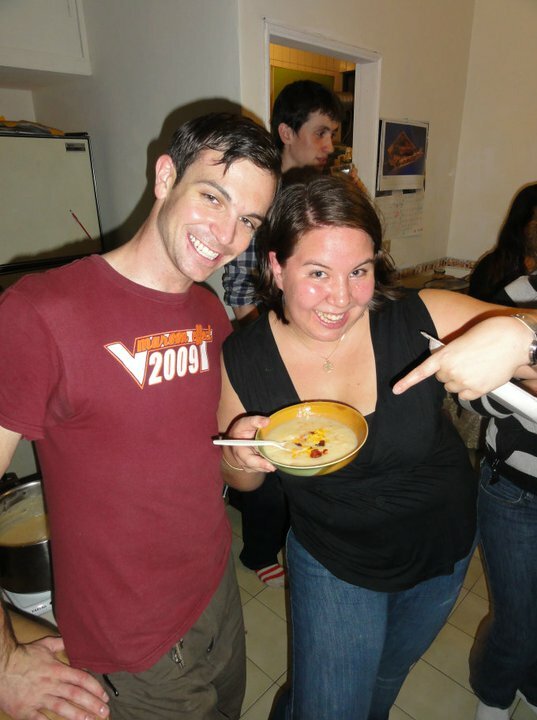 My Fulbright friend Veronica and I decided to cook up a Thanksgiving feast for our American friends in Taipei (with a few welcome British exceptions), and so we set about assembling all of the key components: turkey, stuffing, mashed potatoes, gravy, cranberry sauce, etc, etc. 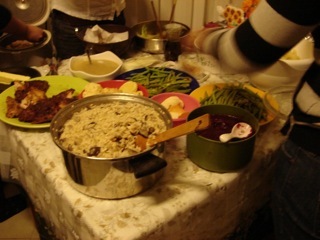 This is also in addition to the lovely Thanksgiving Feast that the American Institute in Taipei served up for us Fulbrighters last weekend; in fact, the traditional food and wonderful company really fired us up to do our own cooking on the Turkey Day itself. Both Veronica and I have spent the last few years cooking up Thanksgiving storms in our respective kitchens, so the fact that the only oven at our disposal was Veronica’s tiny convection oven/microwave combo left us unfazed. We would do an ovenless Thanksgiving! Perhaps we should have been a bit more fazed. But that’s how happy and fortuitous experiments occur, right? When you have no idea how hard something will be. 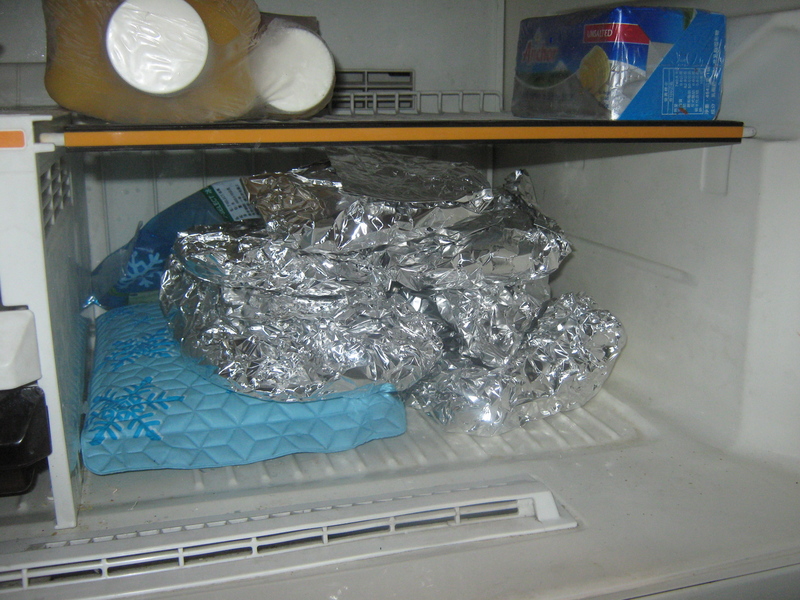 We were able to order the turkey in advance at Carrefour, Veronica baked sweet potato pie, biscuits, and cookies in her mini-oven at home, we decided to make “stovetop style” stuffing, and I worked out a game plan for deconstructing roast turkey flavor using frying pans and pots. But we were only able to find dried cranberries– any search for fresh or even frozen cranberries brought us up short. One store employee nodded at my request, promised that she had cranberries, and then brought me to the juice aisle. Basically, I’m really glad that I could wait until I was living in Taiwan for 3 months before having to grocery shop for extremely specific and specialized ingredients. 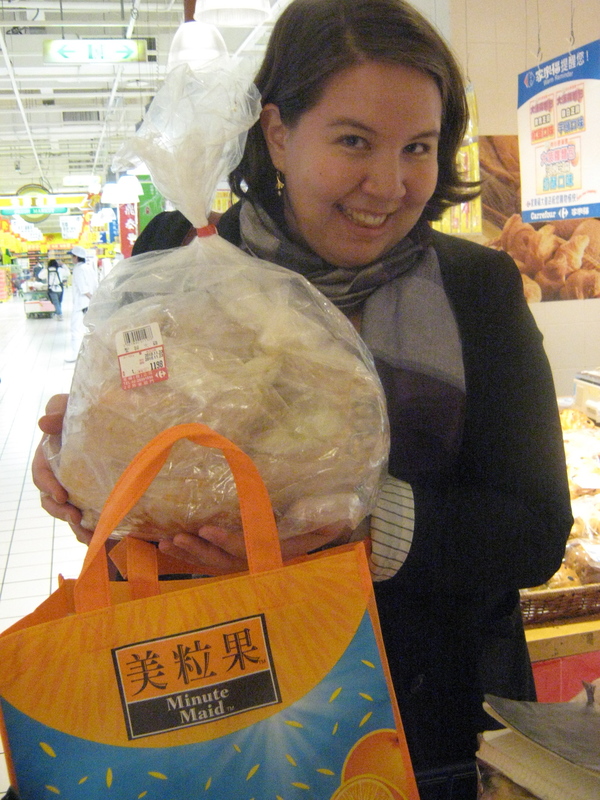 This also included a man in a fresh vegetable market howling with laughter when I asked him for fresh sage, or 茜紫. He understood what I was looking for, I showed him my Chinese dictionary entry, but he just thought it was hilarious. He kept saying, “We sell that! But we don’t have it now,” and laughing. Below is the visual album of photos– we had 10 of our closest friends over for dinner, who all brought lovely quantities of food, cooking skills, wine, and snacks. It was an experiment that worked… just barely. Veronica and I had to reach deep into our years of home cooking and entertaining backgrounds to improvise on the fly, but it was a hilarious adventure! More updates soon from travels to Chiayi and Tainan, as well as the notes on the beginning of full-time Fulbright research. In future posts, I will start to fill in more Taiwanese history details as I discover them and document the unfolding family history search–not just the food I’m eating!. My Chinese class ended this week on a high note, and the 2nd phase of life in Taiwan– research, travel, and immersion in my writing– has begun. At our dinner on Thursday, we continued a favorite American tradition of going around and sharing some words of thanks. It turned into a very moving moment, as we all reflected on what we are doing here, and how we all form the families and communities around us that shape our lives. Cheers to all of you, and to taking a moment to pause and reflect on giving thanks. I have so much to be grateful for. 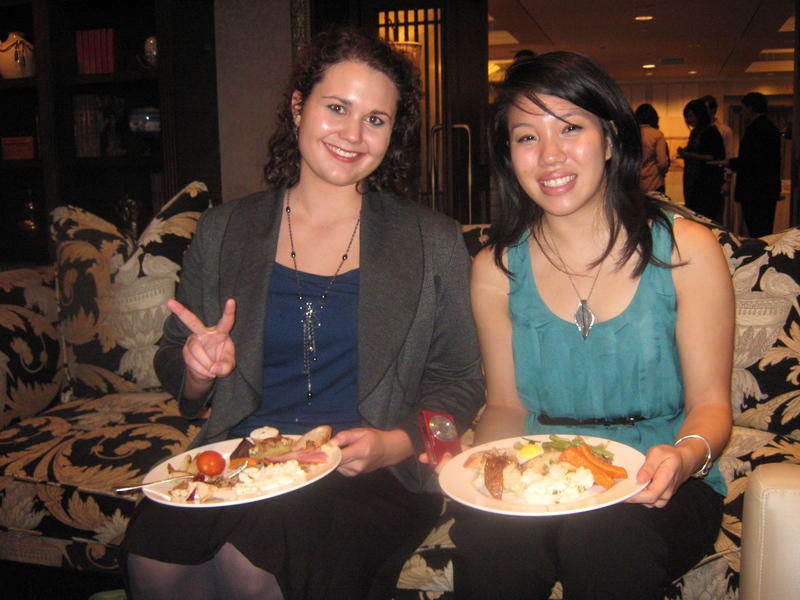 Last weekend, all the Fulbrighters reunited and met some fascinating folks at the American Institute in Taipei, which served up a very traditional and delicious meal. Perhaps this should have been enough for us, but we wanted to take a crack at going ovenless on Thursday! Veronica’s friend John joined us as a third cooking musketeer, from our trip to Carrefour until helping on the big day. 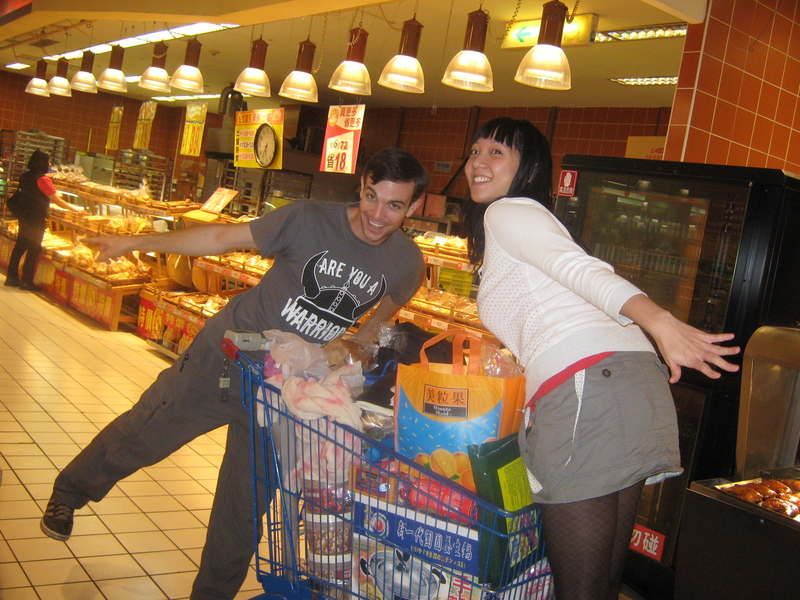 Here, he and Veronica execute a rarely seen swing-dancing-with-shopping-cart move. Before this experience, I would have said Carving a Cooked Turkey = Butchering a Raw Turkey. Now I understand that the latter is much, much harder. In the end, me and the turkey finally came to an understanding. I am cooking you in pieces! In case things weren’t tricky enough, our fridge decided to go on the blitz for a week. NO COLD AIR, and we will have to defrost for 2 days to fix it. Freezer still worked, so I froze the butchered turkey pieces, made broth from the bones, froze the broth, and defrosted both on Thursday for cooking and making gravy. Yup. 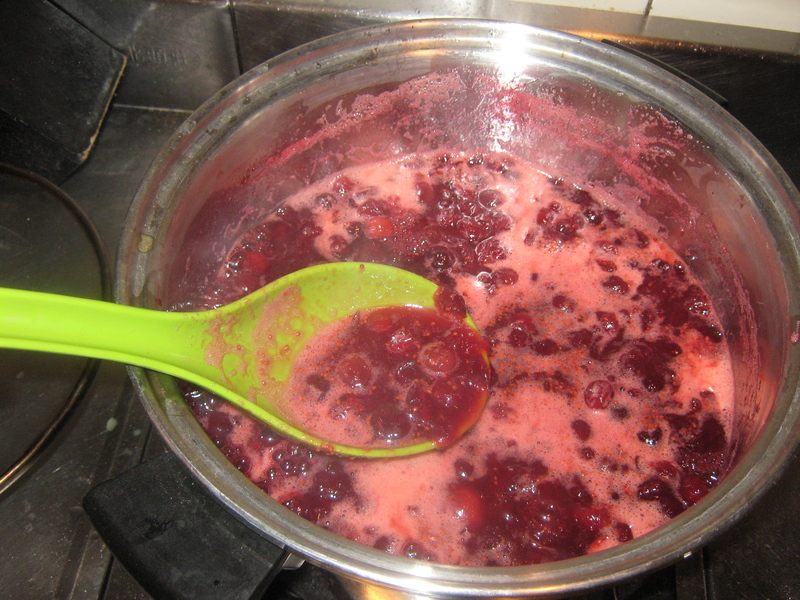 Quickie Recipe: “Timezone Transcending Cranberry Sauce.” Use fresh cranberries, fresh orange juice, and sugar. 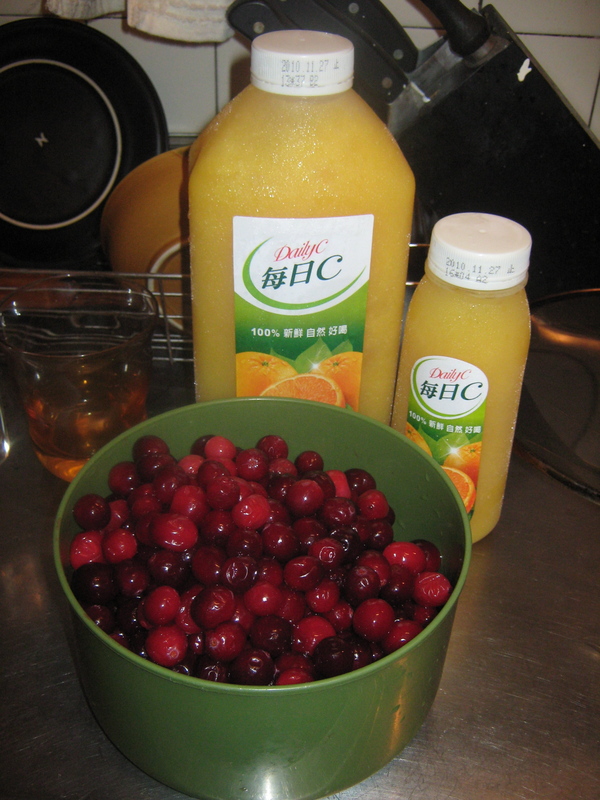 Approximate ratio: 2 cups cranberries to 1 cup OJ to 2/3 cup sugar, depending on how sweet you like it. Put in a pot, boil, and then reduce heat and thicken. Best fruit sauce ever– thanks, Mom! Quick Recipe: Pan “Unroasted” Turkey. 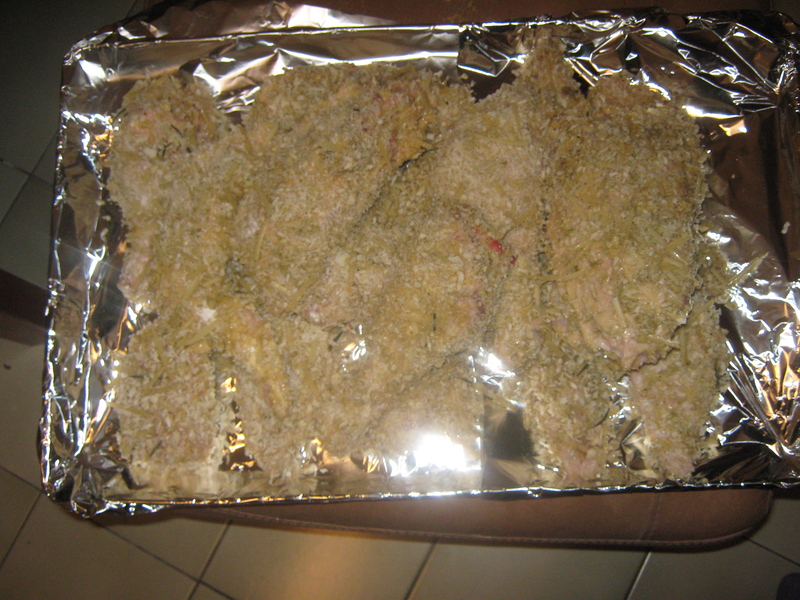 Cut turkey off bones into tenders (I used dark meat on the bones and it took forever to cook!). Panko bread the tenders: dredge in flour, dip in egg, and roll in panko breadcrumbs. I seasoned mine with ground sage, parmesan cheese, salt and pepper. Pan fry on medium high heat in deep frying pan in a few inches of oil, brown on both sides. Reduce heat, add chicken broth and white white, and cover to simmer/braise. (This is like a substitution for “basting,” right?) Turkey breasts cook in probably 15-20 min, thicker dark meat or meat on the bone can be 30-45, but it’s still faster than roasting! Check meat, turn, and cut into one piece to check on doneness. Serve ASAP. 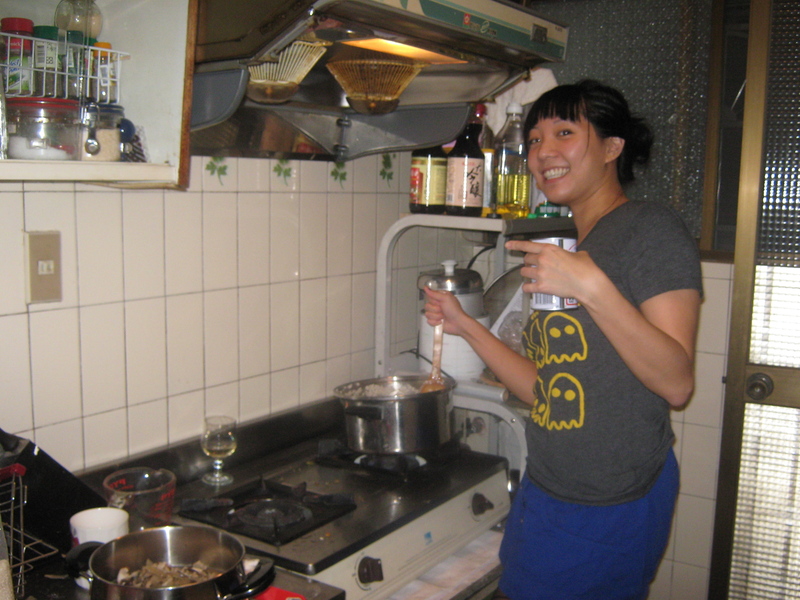 Veronica, my kitchen partner in crime, made a mushroom risotto for vegetarians and food snobs alike. I believe it’s inspired by Tyler Florence on the food network, so check it out there! 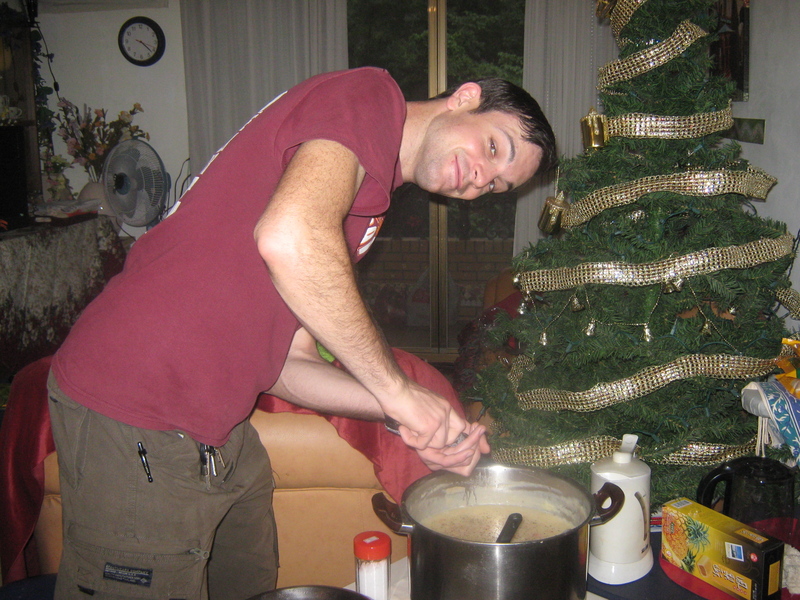 John made a potato soup that he does every year with a traditional secret Irish recipe. I will say it involves a period of stirring every 5 minutes and seasoning every 20, but that didn’t get him out of helping me bread the turkey tenders. In doing so, he reconnected with his southern fried chicken eating roots; it was quite touching. 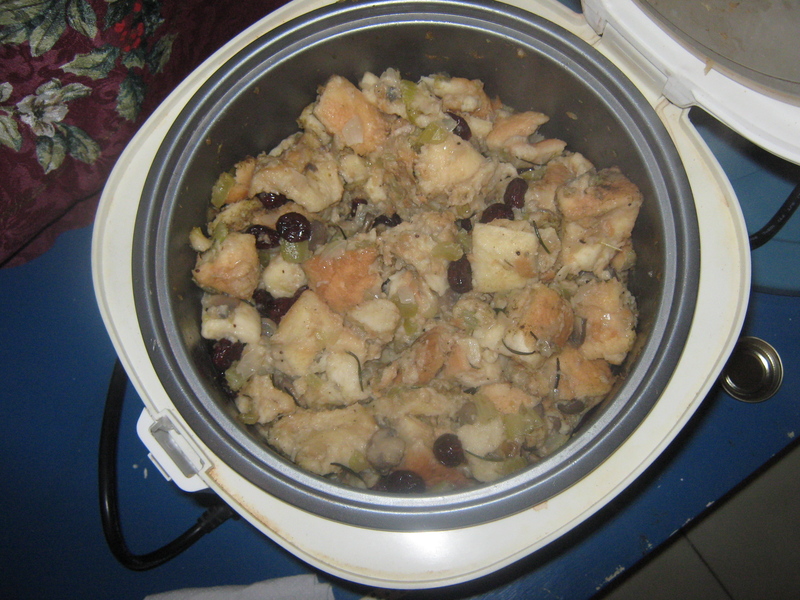 Quickie Recipe: Stovetop “Rice Cooker” Stuffing. Get 2 loaves of bread and toast it, or do whatcha gotta do to make it stale. Saute garlic, onion, mushrooms in a few tablespoons of butter, add mushrooms, and cook on low heat until really soft and tender (20 min+/-). Season with rosemary, sage, etc. Add a little chicken broth at first, then add 1 or 2 cans, plus another stick of butter. Once all is warm and tasty, add bread and dried cranberries. Mix to coat thoroughly, cook for 5 min to warm, add any liquid if necessary to ensure moistness. Then dump contents into rice cooker, add a little more broth, and cook on high for 1 hour. Check occasionally and add about 1 more can of chicken broth, slowly. Leave on “warm” setting in rice cooker, and serve whenever! Food, glorious food! Thanks are in order, universe. 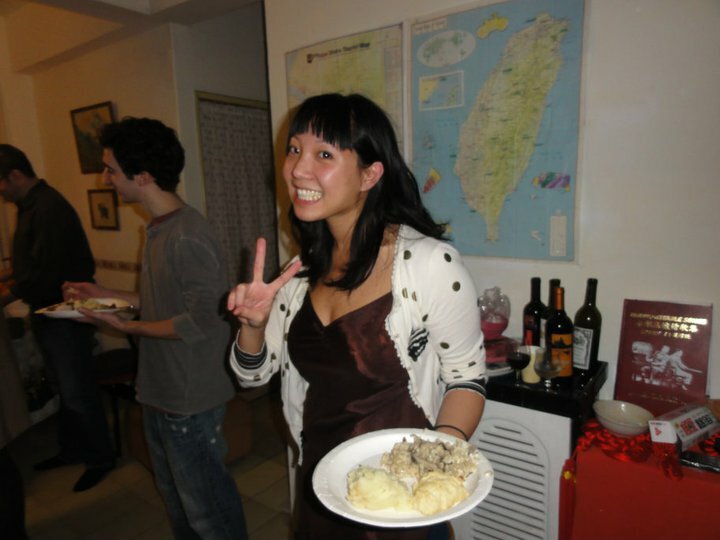 I really enjoy reading about your Thanksgiving in Taiwan. I understand how much you miss home during the holiday when you are away from home. I always felt nostalgic whenever my family send some pics of their parties in Thailand to me. I’m impressed by your ingenuity and resourcefulness in the kitchen. The feast looks great! I’m glad you enjoyed your Thanksgiving away from home! Oh man, chick, that looks delicious!! We had our own dinner, but no turkey. I’m extremely jealous! OH MY GOD, HAHAHAHAH! Thanks for that, fact-checking Eva! Good lord, that’s a funny one. My roommate Susan kept saying cranberries were IN “Shengkeng Dofu,” and I didn’t know at first whether it was a town, a kind of tofu, or an abstract concept! And, it’s actually on OUR MAP as Shengkeng Tofu, so when she said it was a town, I accepted it wholeheartedly. So that leaves us with the question: our English translation of the Taipei MRT system also seems to think its tofu is worth mentioning in the town’s name! Then what is the dot next to “Shengkeng Tofu” pointing to? Maybe the very center of tofu-making fame? Crazy, yo.